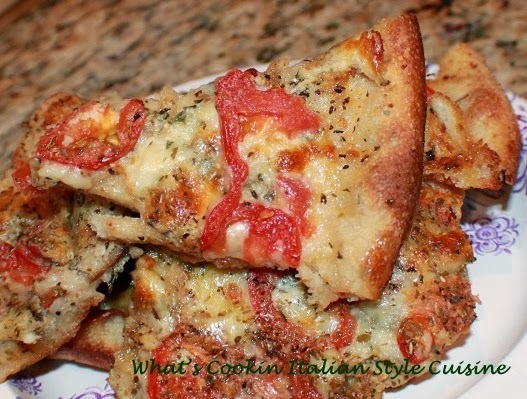 Here is my favorite way to make pizza with many fresh ingredients. Homemade pizza dough, whole milk mozzarella, freshly slice plum tomatoes and a load of herbs and spices. Every once in a while and more often for me than most, I love this version to make for pizza. Crisp think crust, with a buttery topped garlic and herb flavor, bring on the vino and a great antipasto salad and I am happy! Sprinkle evenly with dried herbs all over the top. Put the slice tomatoes on top adding some minced garlic to each tomato. Add the basil to the tomatoes. 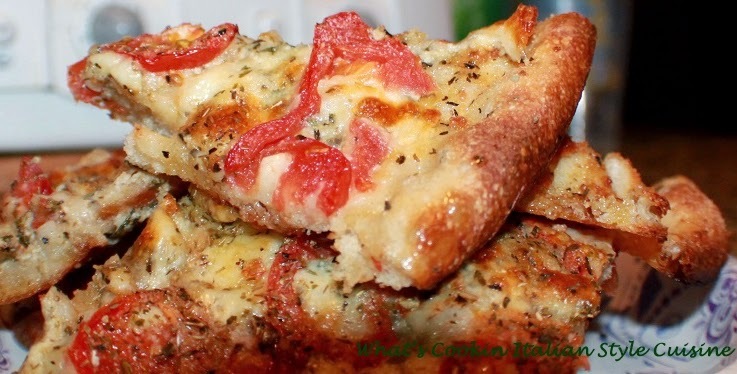 Place slices of mozzarella all over the top to cover. Drizzle with olive oil. I add the cayenne and black pepper on top last. Bake on a preheated 430 degree hot oven until mozzarella starts to brown and crust edges are browned.